Most New Yorkers have an intimate relationship with the city’s many parks, especially during summer months when public events transform our favorite green spaces into temporary yoga studios and music venues. 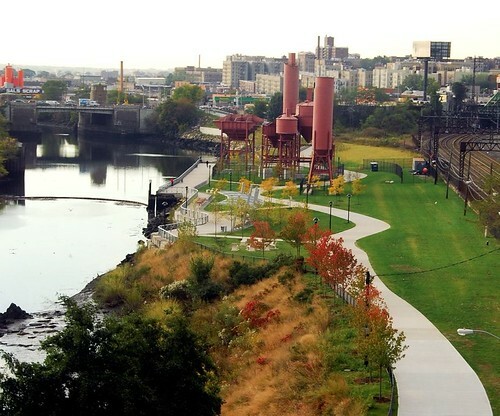 It can be easy to forget the industrial past of these urban oases, or the planning work and earth-sculpting toil responsible for the conversion of reservoirs and jails into Bronx parks and West Village gardens. Before They Were Parks, an exhibition presented by the New York City Parks Department, narrates the often untold history of the city’s open spaces. 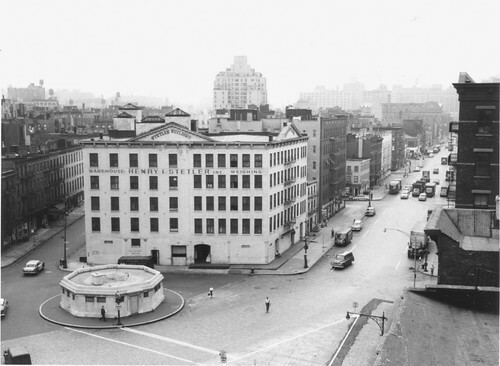 Curated by Jonathan Kuhn, Parks’ director of art and antiquities, the exhibit features over 100 vintage and contemporary photographs from the department’s photo archive, along with other artifacts and memorabilia, including an 18th-century grave marker from the cemetery on the site of present-day Washington Square Park. The show explores the visual transformations of former industrial and commercial sites into green spaces, and also examines these changes from a civic perspective. “The exhibit highlights the intrepid efforts of individuals and government officials to transform industrial, forbidden, or private areas of the urban landscape into public parkland,” Parks & Recreation commissioner Adrian Benepe said in a release. Before They Were Parks is free to the public and on display through September 9 at the Arsenal Gallery, at 64th Street and Fifth Avenue in Central Park—where swamps, bluffs, and rocky outcroppings stood over a century and a half ago, of course.